Vulnerability Management | BlackHatWing, Inc. Scale seamlessly from a handful of apps to thousands. Cloud automation, no hardware to deploy and fast setup, always up-to-date. Accurately find OWASP vulnerablities and learn how to eliminate them. Scan for SQL Injection, XSS, CSRF, URL redirection, etc. Automatically find and eradicate malware infections on your websites. Continuously monitor websites for new infections with regular scheduled scans and email alerts. Find vulnerabilities with WAS, then mitigate with WAF from the same place. Block direct access to app servers and add security without modifying apps. Accurate crawling of AJAX-heavy client-side Single Page Applications (SPAs) that leverage complex technologies such as SOAP/WSDL, SOAP/WCF, REST/WADL, XML, JSON, Google Web Toolkit (GWT) and CRUD operations. Get a wide variety of technical and compliance reports aimed towards developers and business owners alike. Code reviews help determine the coding standards and let you improve the quality of the application at code level. Any organization that aims to make its code maintainable and easy to scale up should conduct code reviews. Code review helps reduce the effort of development, bugs are identified and fixed earlier. Code reviews reduce the overall cost of the development process by pointing out the bugs. Code reviews help to analyze compliance with coding standards. At BlackHatWing we have developed a comprehensive methodology to conduct code reviews. We use peer review methodology to conduct code reviews manually. BlackHatWing is an authorized partner having certified resources to deliver security code auditing services using static and dynamic code analyzers. Our team is also adept at using automated code review tools such as Jstyle, Code Striker, SSW Code Auditor etc We have extensive experience in Education, Retail, Government, Media & Financial sector. 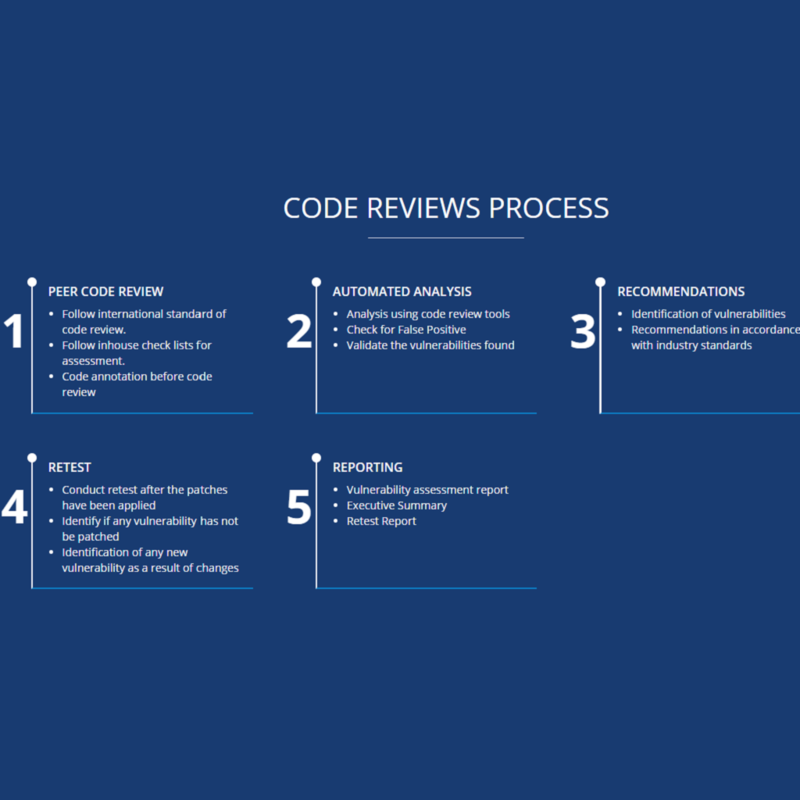 As a code reviews services firm we can help many of our Fortune 1000 clients to maintain the quality of their coding standards so as to ensure successful product release.